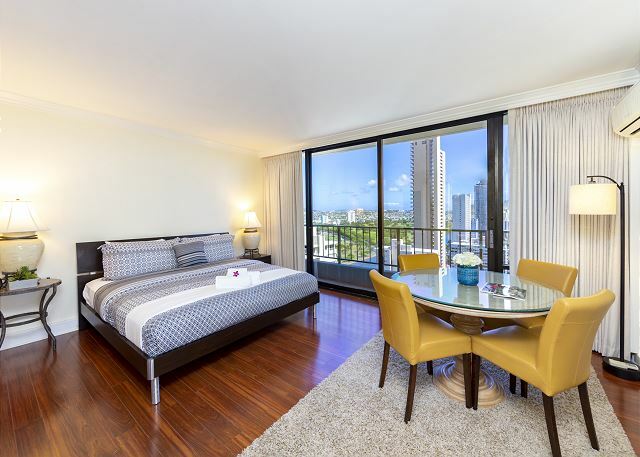 Enjoy your stay at this beautiful Hotel/Condo unit. 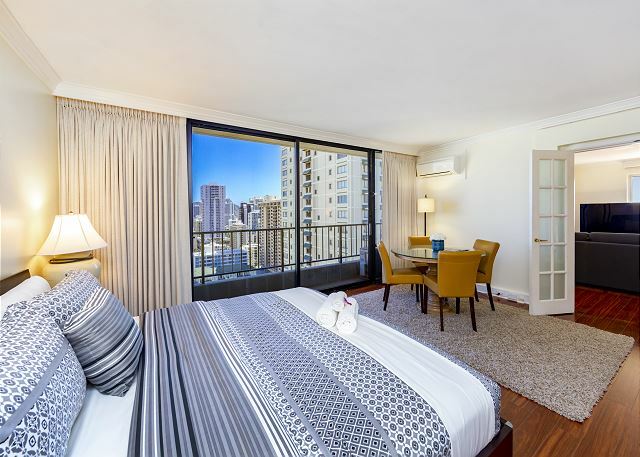 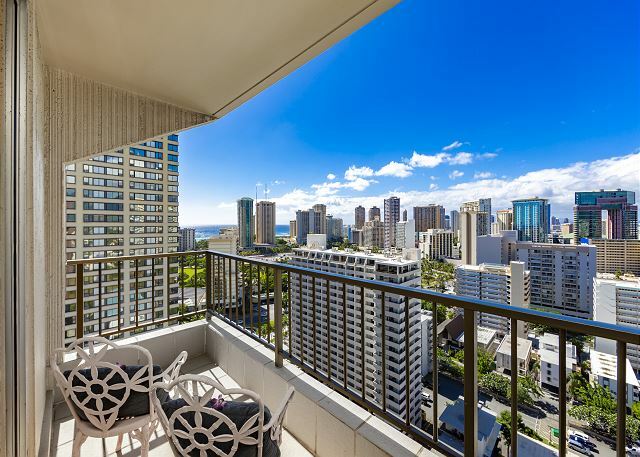 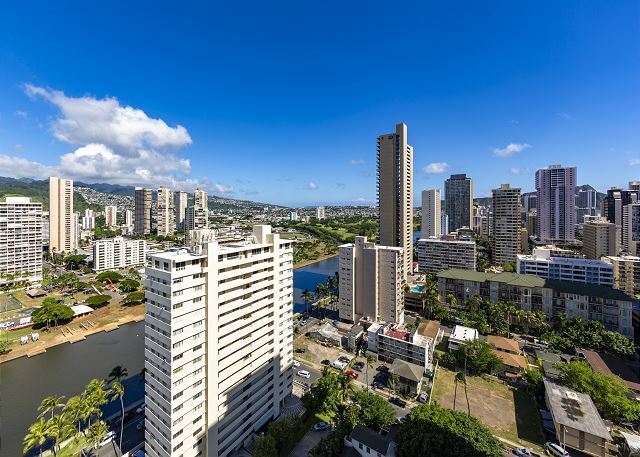 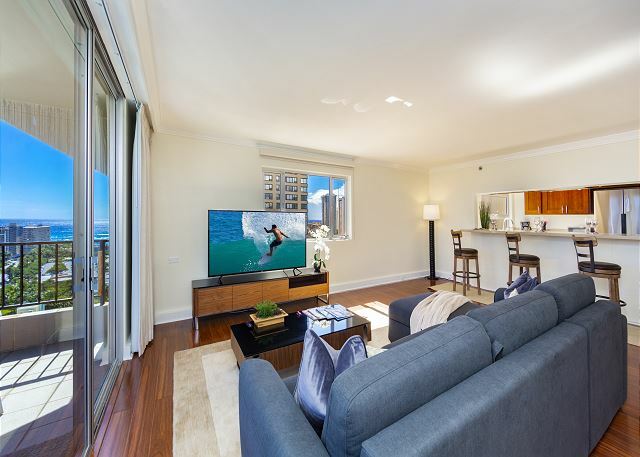 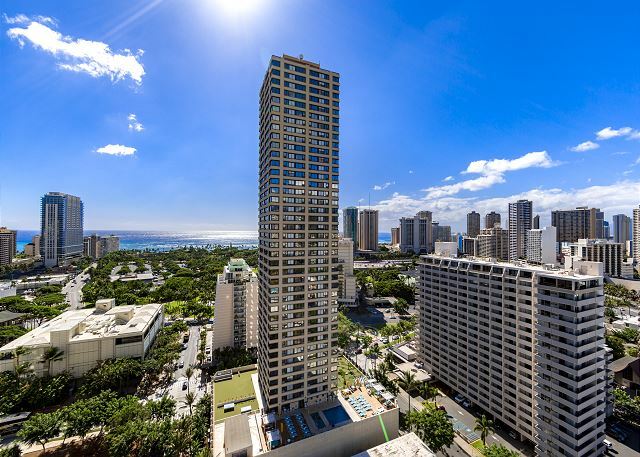 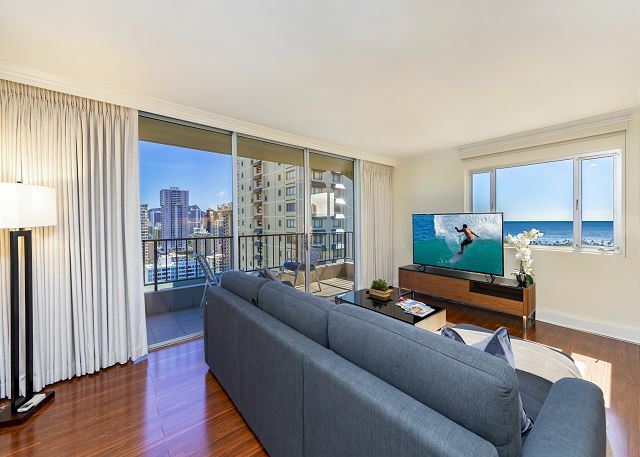 This building is located in a quiet area away from the busy streets in Waikiki but still walking distance to shops and dining. 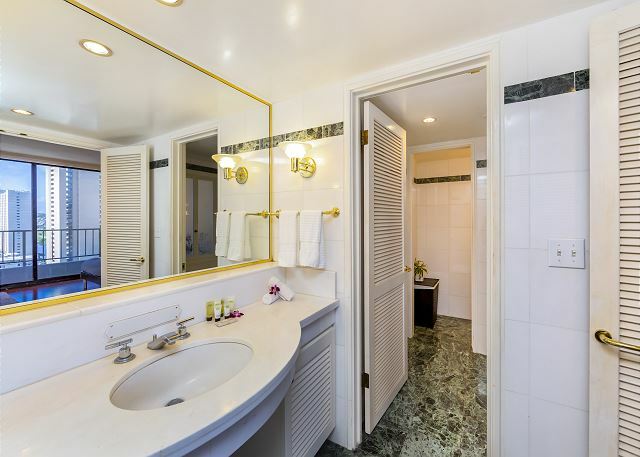 Royal Garden is perfect for any traveler for vacation, relaxing and getting away. 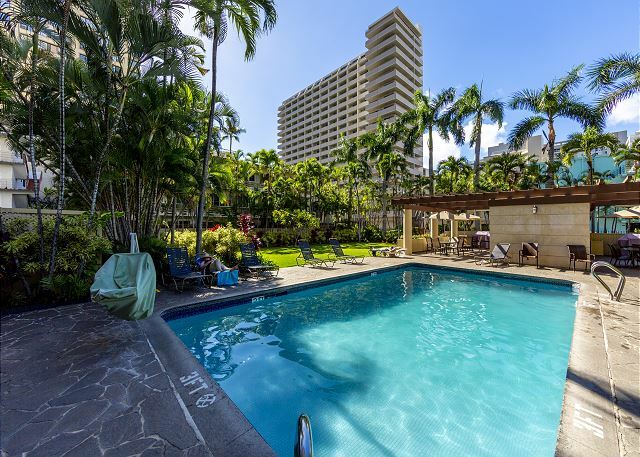 Gym, Outdoor heated pool, Sauna, pool table, BBQ grill, shuffle board, fooze ball, free laundry area and much more. 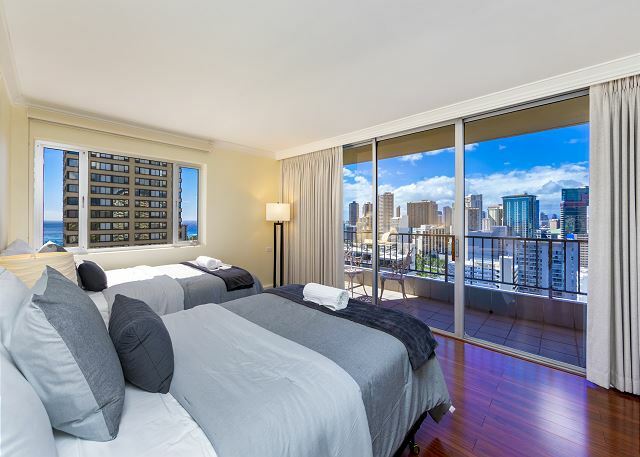 Unfortunately, parking is not included but you can contact the hotel for their daily rates.